Established in the year 1992 at Agra (Uttar Pradesh, India), we, “Iqra Creation”, are the leading manufacturer, exporter and importer of an outstanding collection of Handicraft Boxes And Christmas Ornaments etc. Compact Mirror, Handicraft Fashion Bags and Christmas Ornaments are the offered range of products is precisely designed, crafted and polished by our skilled artisans using advanced tools and methods as per the set industry standards. The products that we use are authentic and procured from the certified vendors of the market. All these products goes well with the existing market trends and highly acknowledged for their lustrous appearance, eye-catching appearance, excellent finish, smooth polish, intricate design, attractive look, trendy appearance and fine finish. In addition to this, clients avail these products from us in various specifications in terms of sizes, shapes, designs, patterns and colors at affordable prices. Being a quality centric organization, we work towards offering a modern as well as premium quality products to our esteemed clients. Our offered designer products are stringently checked by our quality controllers against set quality standards to ensure high quality at the clients' end. We are a client centric firm and our main aim is to maximizing client's satisfaction by offering them the finest quality products. Since the establishment of our firm, we are well-known among our esteemed clients because of our unique policies that include prompt delivery, ethical business practices, wide distribution network and transparent dealings. Offering these products within the fixed time frame has also helped us in gaining a huge client base all across the market. Managed under the leadership of our CEO, “Mr. 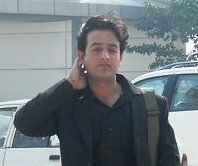 Naushad Hussain”, our company has covered major share in the national as well as in international market. His rich industry experience and sincerity motivate our workforce to bring forth outstanding quality products. For producing high quality hand embroidered product, IQRA CREATION has fully functional setup of internationally method. The Company is committed to utilize innovative methods of handcrafted manufacturing and utilizes the well-known The companies skilled employees & Artisans are well trained to utilize the latest techniques of handicraft industry and deems in providing top-flight quality and service to valuable customers. 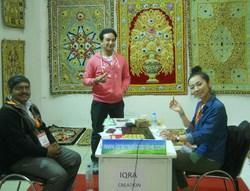 The manufacturing unit is spread over 150 meter of area, which has capacity of producing 5000 pieces per month. The fully managed and controlled manufacturing unit of company works under healthy environment such as safety and technology. The professional Artisans is always ready for communicating, sharing and listen the valuable views of the customers to improve the products and services. We have established a hi-tech infrastructure that is well-equipped with all the latest technology, advanced machinery and tools which are required for the production process to deliver the finest quality range of products. Further, our hi-tech infrastructure is segregated into various divisions such as procurement, manufacturing, quality control and sales & marketing for proper production process. As per the ever evolving demands of industry, we upgrade our installed machines and tools in order to offer a flawless range at the clients’ end. 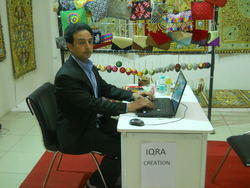 Iqra Creation participate trade show spring feb fair 2011 & Spring fair 20 to 23 feb 2016. Buyer seller meet at Hotel the Ashok new Delhi 14th march 2016. 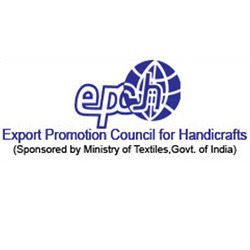 IQRA CREATION is a member of Exporter Promotion Council For Handicraft Delhi. 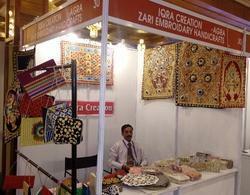 IQRA CREATION is a member of Handicraft Exporters Association Agra. Owing to the efforts of our highly skilled team of professionals, we have made a mark in the field of offering an alluring range of handicraft to our precious clients. Their hard work reflects in maximum satisfaction of our esteemed clients. Rich domain expertise and in-depth knowledge of our team, we have enabled us to meet the specific demands of the market as well as of our clients in the most efficient manner. We also conduct various training and seminars for our experts to update them as per the latest market developments.